I saw Kenny again. Standing alone among the crowd. It seemed everyone was going one way, and he was standing facing them. He looked more tired and dejected than the last time I saw him. He gently approached people and asked them “Do you not hate poetry?” Some were puzzled by the question, but most simply ignored him as if he was invisible. 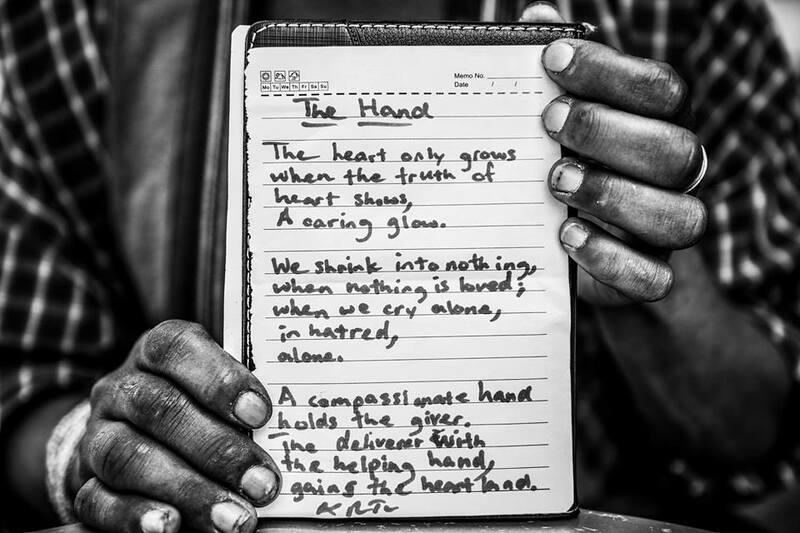 He writes original poems for a small donation. He doesn’t beg or panhandle. With every rejection it took more and more out of him to ask again. His whole life he struggled to fit in. I remember when he showed me the numerous scars on his arms, self-mutilations from his childhood. 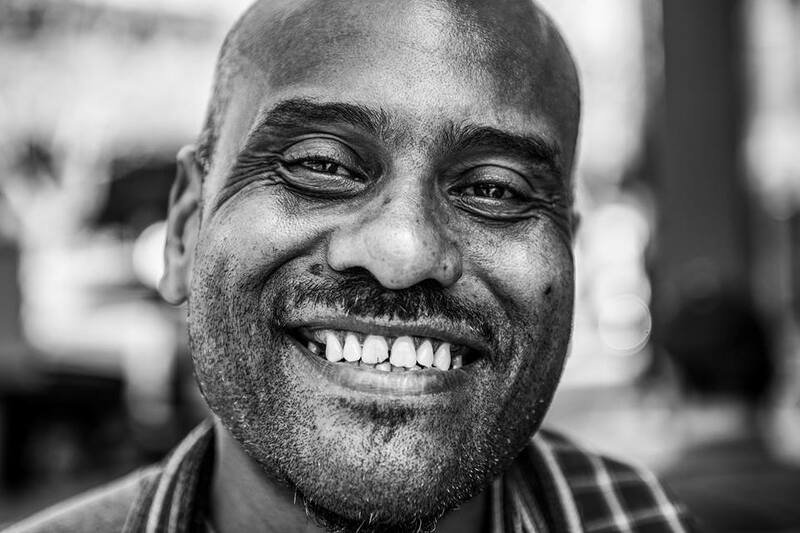 Mental illness kept him from having meaningful relationships and holding a steady job. He ended up in Skid Row with no where else to go. All alone. A final stop from being shuffled around various mental institutions and jail. Everyday is a constant battle not to end his life. Yet he keeps on going. He somehow finds the hope to live. That each day will get better. Poetry and music are his passion. The words and lyrics he writes flow from a beautiful and wounded soul. We sat together for a while watching the crowd go by. “You are the best thing that’s happened to me today” he said. Then he wrote me an inspired poem reminding me what it means to truly live.